Sales tax may apply when shipping to: IA*, MN*, NC (4.75%), WA*. 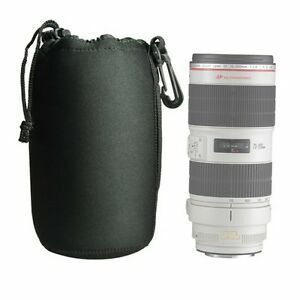 I bought it for my Canon 70-200 F4 IS lens. Unfortunately, it won't fit in the bag with the lens hood on, so I can't use it. As described. Is a perfect choice to protect a camera lens.